PIPS Newry & Mourne is working with partners in the voluntary sector to train up staff and volunteers as part of a community wide strategy to reduce suicide rates. 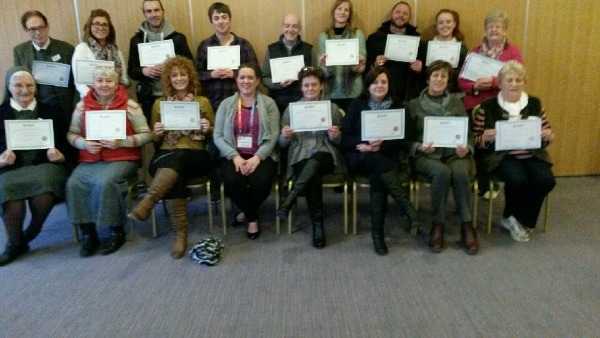 16 staff and volunteers from the local voluntary Cuan Mhuire Residential Detoxification and Treatment Centre for those suffering from addictions have been trained in ASIST (Applied Suicide Intervention Skills Training), which aims to help people become more confident and able to identify risk and intervene to prevent the immediate risk of suicide. This training, along with courses in mental health awareness, is funded by the Public Health Agency.